Thai Binh (VNA) – A ceremony was held in the northern province of Thai Binh on October 26 to present Lao orders and medals to Vietnamese volunteer soldiers and military experts who performed international missions in Laos during 1945-1975. Authorised by the President of Laos, Lieutenant General Nguyen Tien Long, deputy head of the liaison board for the former volunteer soldiers and military experts, and Vice Chairman of the provincial People’s Committee Nguyen Hoang Giang granted first-class Freedom Order, first-class Victory Order, anti-French and anti-American resistance medals to 488 Vietnamese volunteer soldiers and experts in the province. 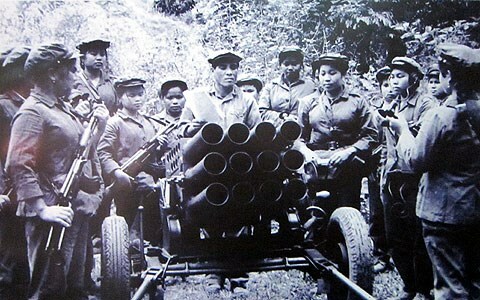 Giang said Thai Binh was one of the localities that made remarkable contributions to the cause of national liberation and international missions in Laos.